Be a superstar stylist in your home with Glamour, a rich velvety style curtain fabric, giving your home a feeling of grandeur. 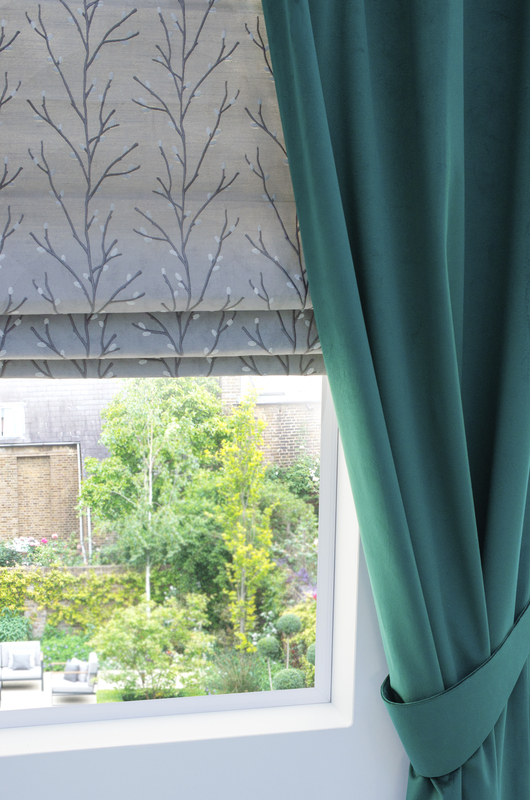 Choose a rich green like Glamour Emerald and pair alongside a grey patterned Roman blind like Gia Smoke to really make a statement. Doubling up with the classic Roman & Curtain combo never goes out of style, but have you ever considered tripling up? We can hear your inner interior goddess screaming YES! If you have new PVC windows, INTU blinds have been designed for you. INTU clips into the window frame, securing the blind to the window whether you’re opening or closing it. Choose a Venetian, Pleated or Hive blind as your INTU, with a Roman blind over the top and a set of deluxe Curtains pulling the whole look together. Consider accessorising your room, not just your blind! 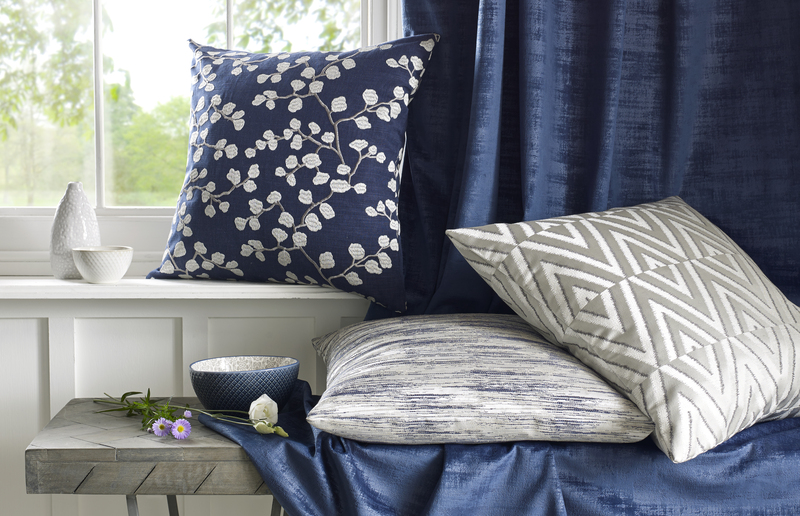 Cushions are a great addition to your interior as they can be easily switched up depending on mood or time of year! Create a seamless feel by echoing the same shade or even the same fabric on cushions scattered throughout the room. Looking for a fabric sample? Check out Style Studio’s SampleRoom where you can order up to 5 free samples sent direct to any address of your choice. Go one step further and motorise your blinds with Powershade! In this day and age technology rules each of our lives, so why should your interiors be any different? Powershade Roman is a luxurious and affordable motorised system that you can easily operate at the touch of a button, complete with quiet and smooth operation Powershade Roman combines style and control. Connect up to the Powershade Smart Controller which allows you to control your blinds from your smartphone device. Available for iOS or Android, you can program your blinds to open or close at designated times, providing added security when away from home. The Smart Controller is also compatible with Amazon Alexa and Google Home – set up any specific voice commands to open or close your blinds with your voice alone. Warm up your interior this Winter!